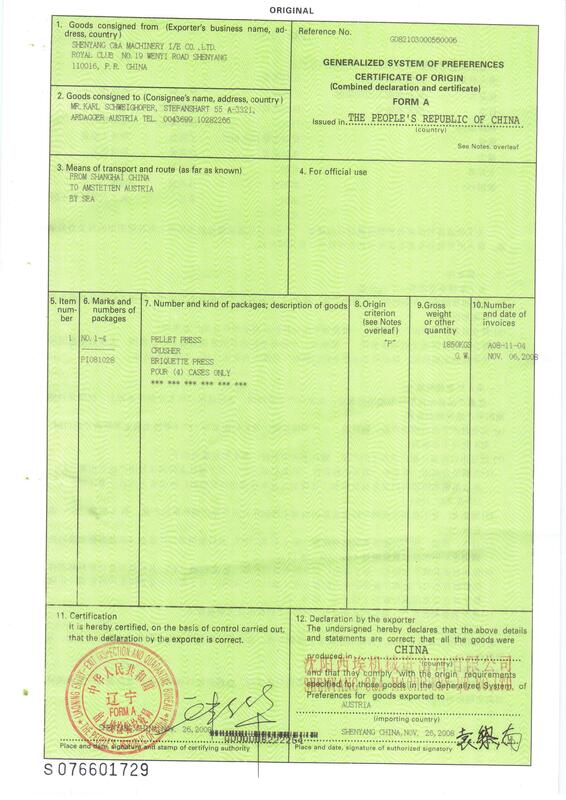 Generally the total invoice value should be over USD3000.00 except for sample order. Shall we mix different items in a container? Yes, we will try our best to mix them in one container if the factories are not too far away. The lead time for production is generally about 35 days, it maybe changing for different items and different seasons, and 5-7 days for inland transportation and shipment preparation. 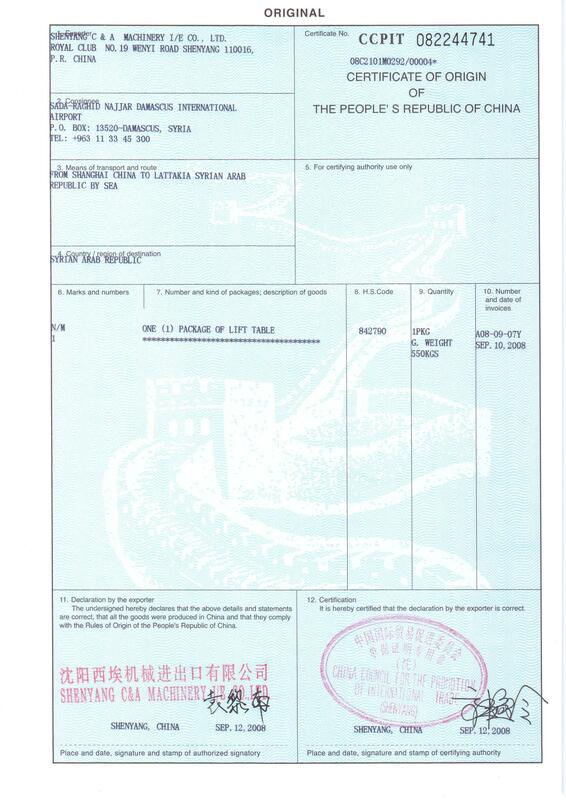 The delivery in our quotation or proforma invoice means the date the goods is on board at China port, not including the time for transit in the sea. L/C at Sight or T/T in advance. We prefer T/T in advance because it can cut down banking fee for both of us. Here is an example for L/C and T/T. We supply one year warranty on all products covering all manufacturing defects. The spare parts can be shipped by express courier and air freight accordingly if you need them urgently, it is highly appreciated if you can put them together in your next order. How can I become your dealer? Just buy products from us, and we will try our best to make our dealers happy. Your experience on the products and sales service & network in your local area besides our support can guarantee your business success. Can you help us source the products which can't be found in your website? Sure, we are glad to help our customers. Why and Who Trade with Us? We are a qualified, reliable, responsible partner with more than 18 years experience, we serve our customers with high efficiency, quick response,competitive pricing, which makes our customers easy and comfortable to do business. We will arrange commodity quality inspection by CCIB, and also check packing and quantity, and ensure the goods can meet customer's requirements. We can also arrange SGS and other inspection if you need it. We Supervise the goods to be loaded in the container in good condition and ship the goods strictly according to the required delivery. 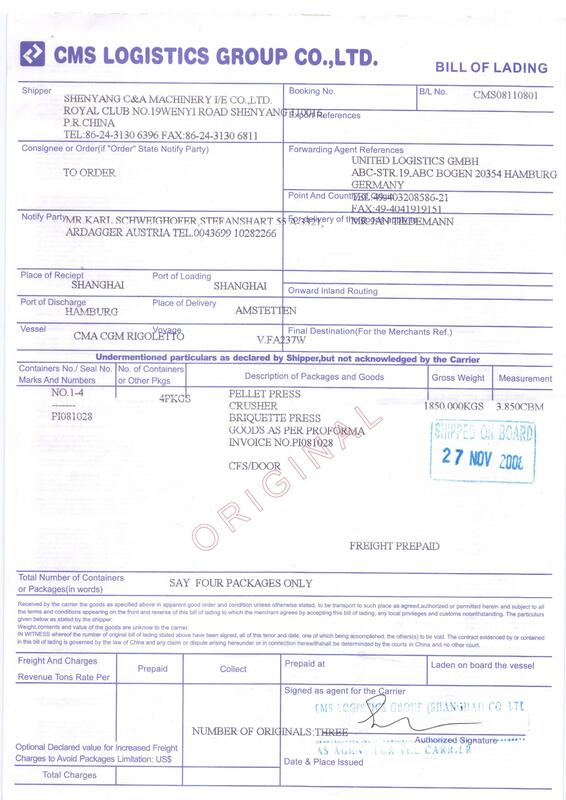 We make correct and neat shipping documents avoid any trouble for our customer's releasing the goods. 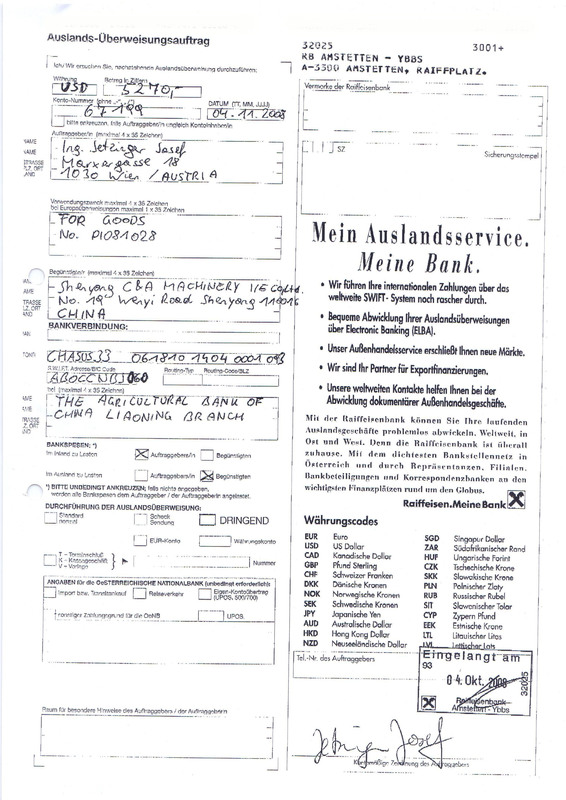 Here're some samples of nessesary documents for releasing the goods: Form A, Original of Certificate, Bill of Lading. We are in Shenyang China, the biggest city in Northeast of China. You are welcome to visit our company and factories at your convenience. Copyright 2003-2019 © Shenyang C&A Machinery I/E Co., Ltd.